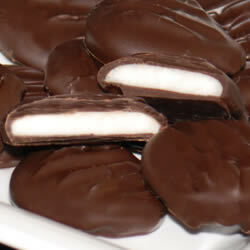 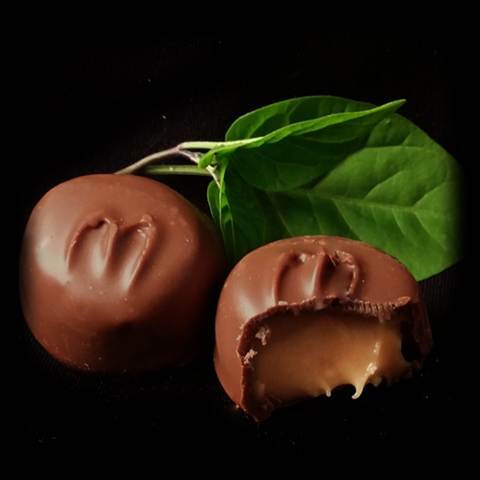 Mint flavored with a chocolate melt away center. 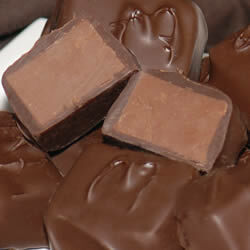 Available in milk and dark chocolate. 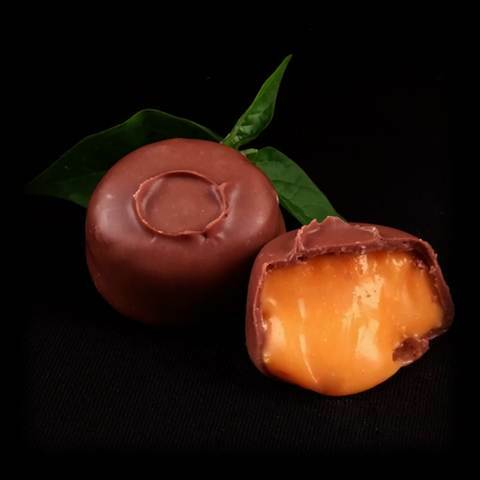 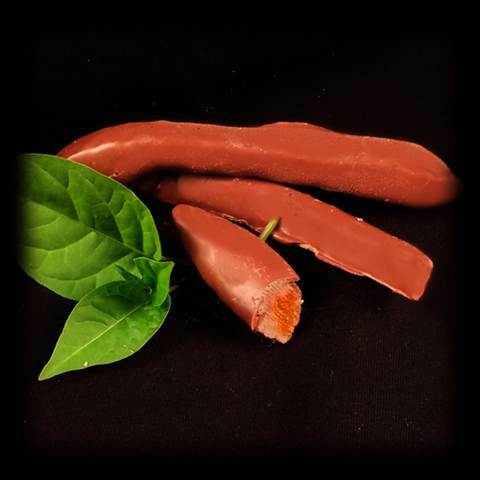 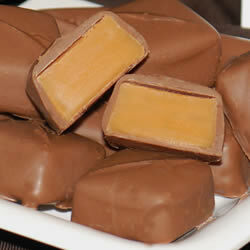 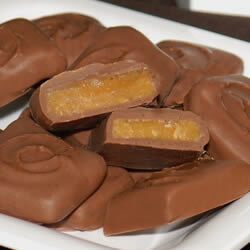 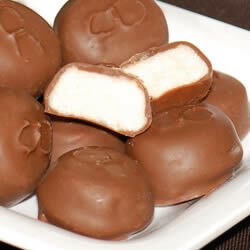 A rich chewy caramel covered in milk or dark chocolate. 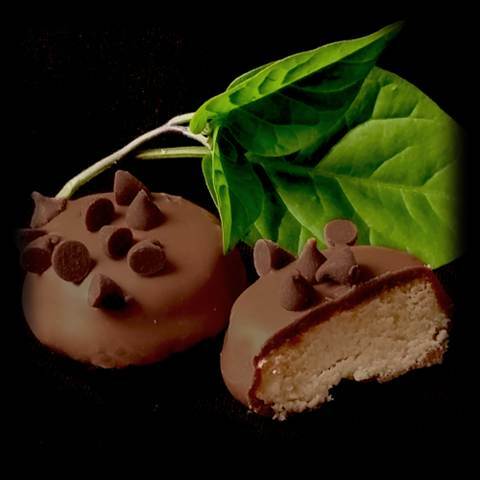 Mint flavored fondant cream covered in milk or dark chocolate. 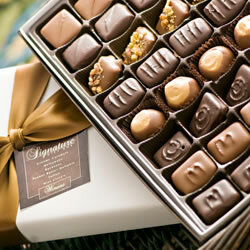 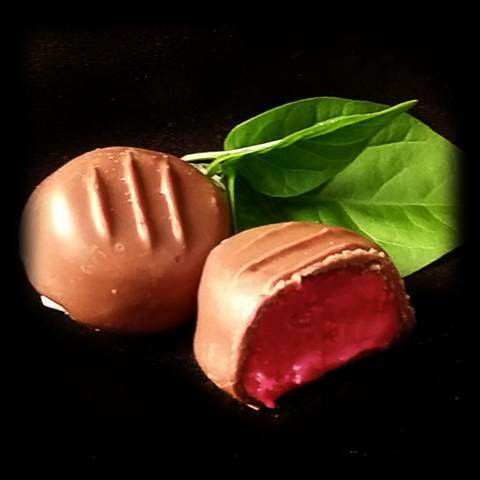 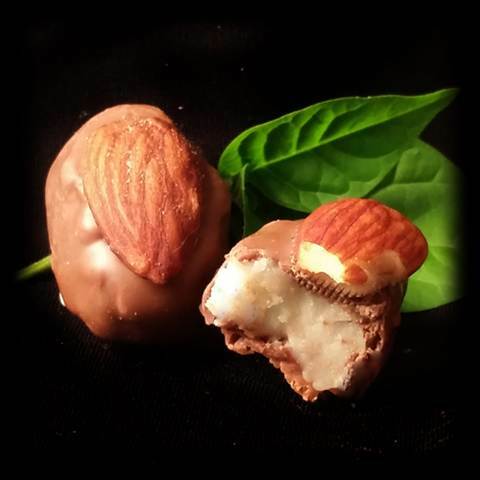 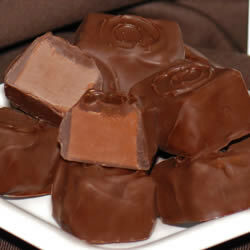 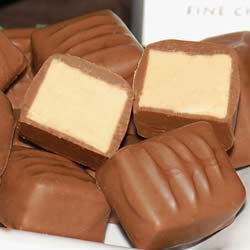 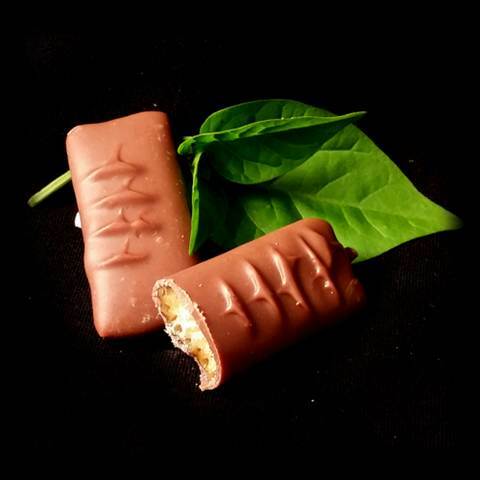 A delightful rich creamy peanut butter and white confection blend coated in milk or dark chocolate. 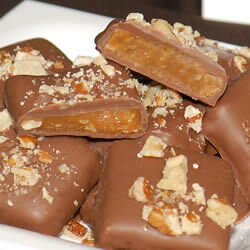 Buttery toffee squares with crushed almonds covered in milk and dark chocolate.